We’re back! 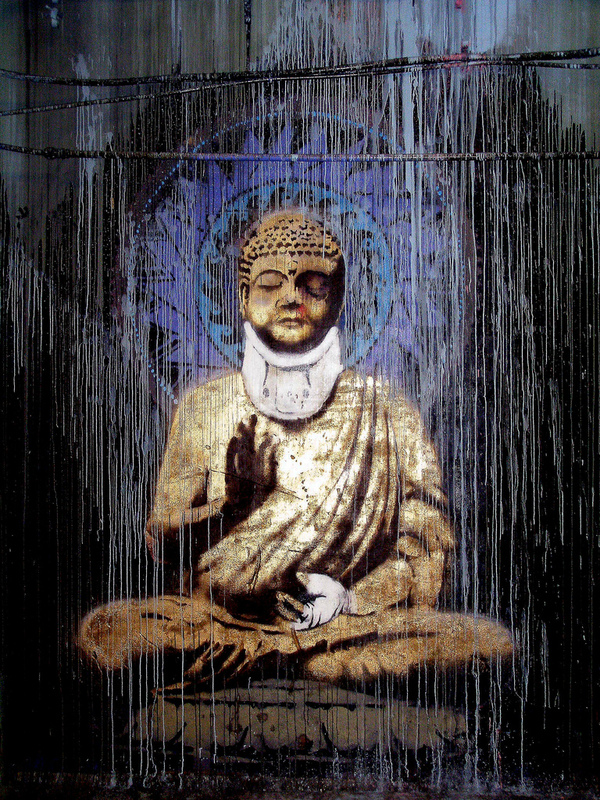 The Imperfect Buddha Podcast’s new episode arrives just in time for the New Year. This time out, we’re exploring Engaged Buddhism and the question of whether to engage or disengage. We discuss how Buddhism could provide tools and practices to support those engaging with the political landscape and activism but also how Buddhism often provides a means for people to hide out from the uncomfortable realities we see around us; the ones that cause endless amounts of collective suffering. We discuss practices that could help individuals and groups wake up from the apolitical stance that is so present in western Buddhist groups and discourse and look at how Engaged Buddhism too often concerns itself with the symptoms of the three institutionalised poisons that David Loy has articulated in his work whilst avoiding a genuine critique of the cause. Ken Knabb helps us on our way as does Loy and we even manage to get in some critique of Stuart’s favourite Buddhist group, Shambhala, as well as one of my least favourite new age capitalists, Eckhart Tolle.There’s plenty of banter and lots of constructive critique and practice suggestions, so jump in and give it a listen.